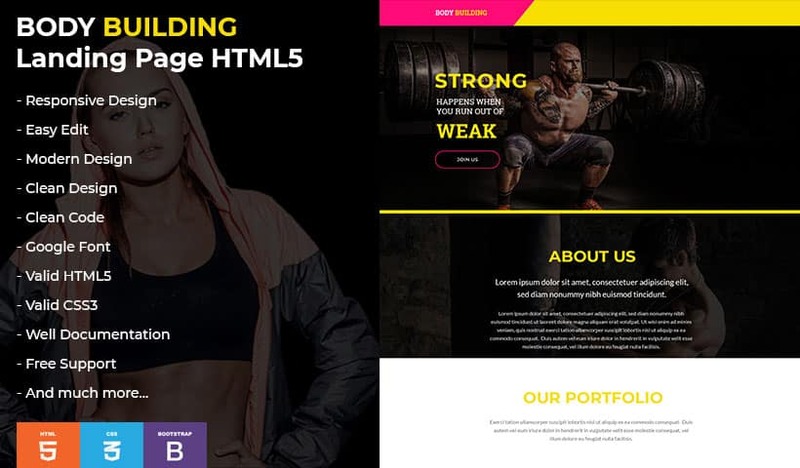 Fitness landing page HTML-5 Template is fully Responsive, Retina ready design for Gym industries like Fitness Centers, Cross fit Boxes, Yoga & Personal Trainer, Sports Clubs & Health Websites and any other sports businesses. Fitness & Bodybuilding landing page is also suitable for aerobic, boxing, crossfit, karate, dancing etc. It is designed with Unique and clean & modern Look. The FREE Google Fonts are uses giving good look the layout. The design also includes with Schedule Time Table, promotion banner etc. Bodybuilding and Fitness industries have been developing at a great speed for the last few years. In the world of web, everyone has now access to expert advice of various specialists. 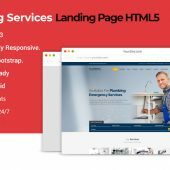 Our body building HTML landing page has offer various features and functions including high quality images and amazing animated sliders. With great color combinations, our designs create an atmosphere that motivates and makes your potential clients read about the services you offer. Browse through our body building design collections and find the right landing page for your site today! This HTML template designed with HTML 5, CSS, Bootstrap for Gym, Fitness Centers, aerobic, body building, boxing, health, karate, personal trainer, sports, Sports Clubs & Health Websites and any other sports businesses.